I have, in other blog posts, chronicled my adventures in sleeplessness. From childhood I’ve been a morning person. It’s in my DNA, I’m afraid. Especially in the depths of the winter, as we are in now, my day usually begins in the deep dark before dawn. As a child, I would hate the early mornings as I lay in bed or sat in a dark house and waited. I waited for the light of dawn or the light in the bathroom which signaled that my dad was up and it was okay for me to be up too. As a kid, I hated sleeping over with friends, most of whom liked to sleep in. It meant I would wake up early in a strange house and have to wait hours for my friend to get up. As I got older and became the father of little ones, I began to relish my early morning hours of quiet before the house began to stir. I have embraced my early mornings as productive and peaceful on a number of levels. As I read the lyrics of Psalm 130 this morning, I ran across the verse above which has become very familiar and even dear to me in recent years. It is used in praying the hours (a.k.a. The Divine Offices), which I often do, especially The Office of Dawn. 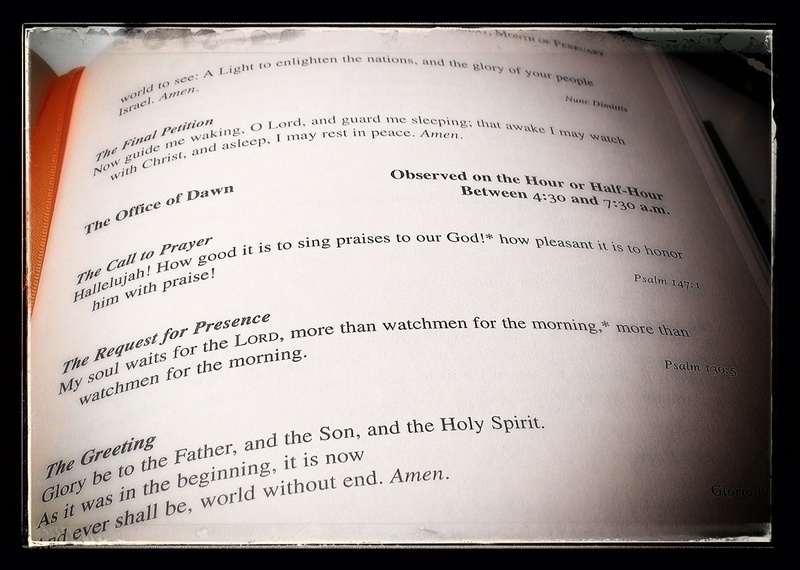 There is even The Prayer of the Night Watch, which are prayers offered between 1:30 and 4:30 a.m.
As a morning person, I feel a deep resonance with the wait for dawn. It is more than longing and desire. It is both the anticipation and expectation of what is to come. As persons of faith, the assurance of what we hope for and evidence of that which we do not see is a key ingredient in our day-to-day life journey. The physical and temporal is embodied in the instant gratification of our appetites and the blunt realities of our senses. That which is eternal and of the Spirit is generally realized at the end of the faithful, expectant, long watch of the night when eucatastrophe dawns and rends the unsuspecting darkness.